In Somerville, car crashes are most likely to occur on Mystic Avenue and Fellsway, according to state figures. But when drivers are not paying attention or are aggressive, they can happen anywhere in the city and injure other drivers, passengers, motorcyclists, cyclists and pedestrians. According to the city, 12.5 percent of Somerville residents commute by bike and more than 16,000 commute on foot. If you have been injured in a Somerville car crash, we understand you have been through a traumatic and overwhelming ordeal and have many questions. If you need medical treatment or have to take time off from work, it is critical to contact an experienced Somerville car accident lawyer. Contact Breakstone, White & Gluck of Boston for a free legal consultation and learn your rights. With over 100 years combined experience, our car accident lawyers have been recognized as among the top personal injury lawyers in Massachusetts and New England. We will thoroughly investigate your accident and aggressively pursue the best result for you. For a free legal consultation, contact Breakstone, White & Gluck at 800-379-1244 or 617-723-7676 or use our contact form. When it comes to land, Somerville is one of the smallest cities in Massachusetts. But it has over 81,000 residents and one of the largest workforces in the Boston area. Major employers include Partners Healthcare on Assembly Row and Tufts University near the Medford border. Union Square in Somerville ranks fourth highest in Massachusetts for bike crashes (Source: MassDOT). Somerville saw 636 car crashes on city-owned roads in 2016, with 224 resulting in injury, according to the city’s Vision Zero web page. According to the Somerville Police Department, cyclists were involved in 116 crashes in 2016, an increase from 99 the previous year. 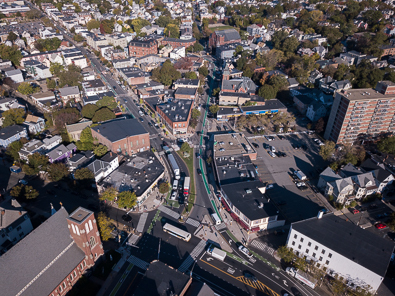 Somerville has 14 neighborhoods and 7 squares, creating many challenging intersections. Union Square is one complicated crossing where Somerville Avenue meets Webster Avenue and Washington Street. A high volume of cars and large trucks travel through each day. Drivers must remember that they share this busy intersection with cyclists and pedestrians. By failing to yield, traveling in the bike lane or "dooring," a driver can seriously injure or kill a cyclist. Other Somerville Car Crash Locations. The Somerville intersection of Mystic Avenue (Route 38) and Fellsway is one of the top car crash locations in Massachusetts. It was #21 of the top 200 crash clusters from 2012-2014, according to the MassDOT 2014 Top Car Crash Locations report. There were 184 EPDO incidents, 80 car crashes and 26 car crashes involving injury. EPDO is an abbreviation for equivalent property damage only. Another stretch of Mystic Avenue and Fellsway ranked #33. Nearby in Medford, the Revere Beach Parkway and Fellsway was #83 on the list, with 123 EPDO incidents, 63 car accidents and 15 crashes involving injury. Interstate 93 has exits in both Somerville and Medford and car accidents there are frequent, as drivers fail to properly merge or engage with cell phones or other distractions at high speeds. Speeding in Somerville. The City of Somerville is working to improve safety on the roads. In 2016, the city lowered speed limits from 30 to 25 mph on all local roads in thickly settled or business districts. In addition, the city created 65 different 20 mph safety zones in areas where pedestrians are vulnerable, including around schools and senior centers. Drivers who do not observe the speed limit and cause someone injury are operating with negligence and may be held liable. After a car crash, make sure you are treated for your injuries at a hospital or medical center. Under Massachusetts law, you are required to report car accidents which involve personal injury or property damage over $1,000 to the Somerville Police Department or Massachusetts State Police (depending on the road you were on) and the Registry of Motor Vehicles. You must also report the crash promptly to your auto insurance company. Before you do this or file a police report, you have the right to consult an attorney. But understand you have a responsibility to contact your insurance company in a timely manner. You have more time to file a motor vehicle crash report with police and the registry. Massachusetts provides you with 5 days, unless you are unable to do so because of your injuries. If you need to speak to a Somerville car accident attorney, contact Breakstone, White & Gluck. Our attorneys have obtained top compensation for clients for more than 25 years. 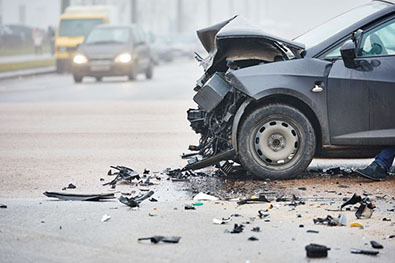 Our firm represents those who have been injured in car accidents across the Boston area, including in Somerville, Medford, Cambridge, Arlington and Everett. For a free legal consultation, contact Breakstone, White & Gluck at 800-379-1244 or 617-723-7676 or use our contact form.